Today while shopping for food we felt like having something sweet. After analysing the options in the stores we went to, it was decided we would bake a chocolate cake. 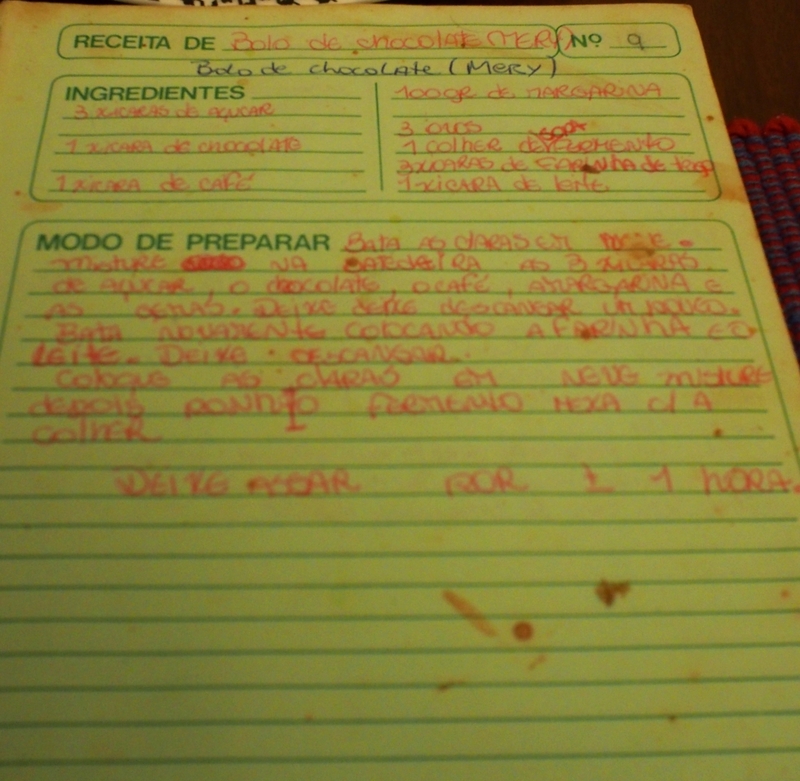 While my girlfriend prepared lunch, I went crazy on Pinterest looking for recipes when she remembered a recipe she used to make when she was a kid and that is written down on a notebook in our kitchen. The recipe was invented by an aunt of hers and followed step by step, as it was my first time baking a cake. The original measures were divided by three, as we didn’t want to end up with a lot of cake to eat. I have also added a little less sugar than indicated, as it’s a matter of taste. I would try replacing it with maple one day, though. Since the amounts of ingredients were cut, instead of using a cake pan, I chose a muffin tray, which was possible to fill out and have some leftovers to be licked from the spoon/mixer attachment. Reminder: this is the full recipe. 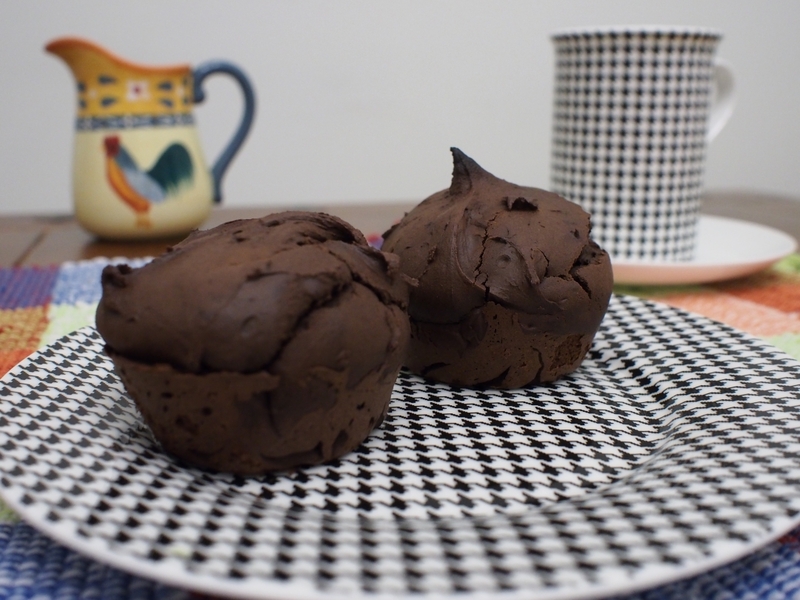 For 6 small cakes (not sure I should call them muffins or cupcakes), I used one third of the ingredients. 1. Whip the egg whites until they’re firm. Save it for later. 2. In the mixer bowl, put the sugar, cocoa powder, coffee, butter and yolks. Mix well and let it rest for a bit. 3. Add the flour and milk, and mix again. Once all is integrated, let it rest. 4. Add the whipped egg whites and baking powder. Mix it well. 5. Put the dough in a cake pan or muffin trays and bake at 305 Fahrenheit (about 175 Celsius) until the middle is cooked (use a knife or the pointy object of your choice to check as the time will vary according to the size – for one muffin tray, it took about 30 minutes to be ready). 6. Serve, post a picture to Facebook and link to this page. “Eat it” – Weird Al Yankovic.